Got these from my grandfather when he passed away in 2006 and never did anything with them. I recently picked them up from my fathers house to do some research on them. A nice set of bayonnets you have there. The one on the left is I believe a Lithgow of Australia. 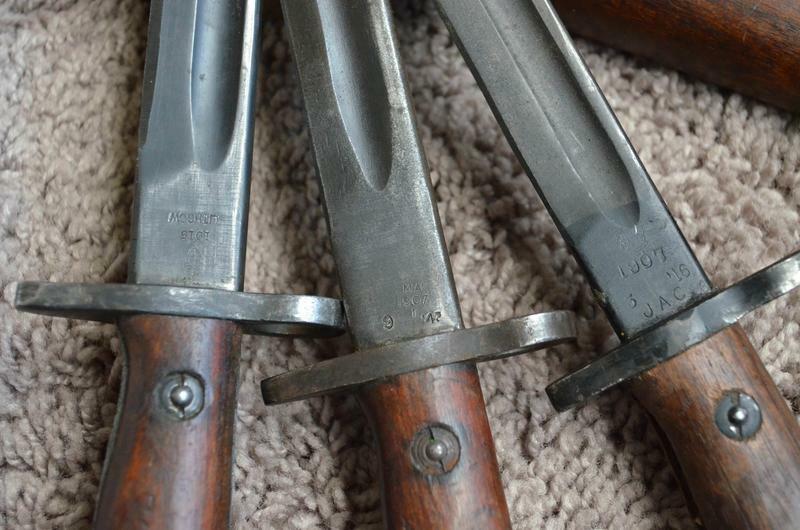 Nice bayonets. With the MA stamp and dated 1942, the one on the left is also an Australian Lithgow. Sorry, the one in the middle. Well spotted Terrylee. I did not spot the MA on the middle one. Are all Lithgow bayonnets stamped upside down compared to the UK made ones? Is it a down under thing? 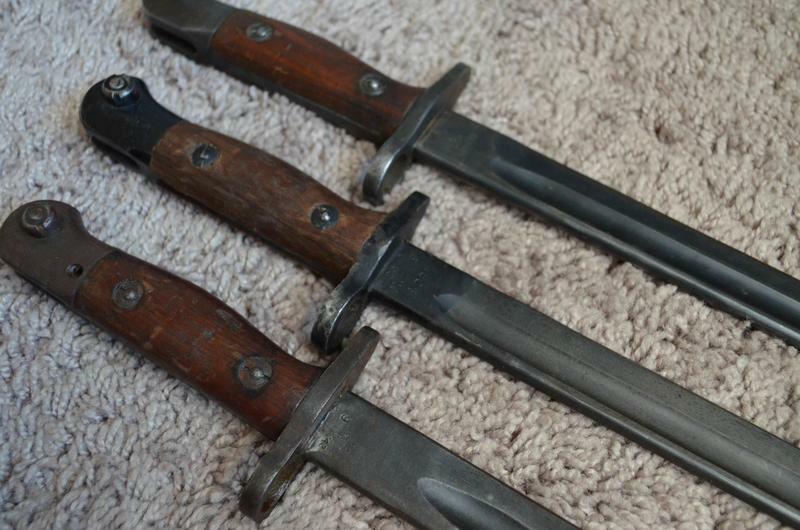 I only have a couple of WWI Sanderson made 1907's; but obviously there are lot of variations for collectors to find. There is a good website for bayonnet identification that I found recently; don't have the link to hand at the moment though. Those are very nice. I,m on the lookout for a 1907 like yours. 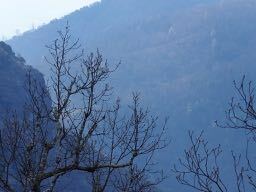 Hi guys I'm new to this forum and I'll apologise now if what I'm about to put up is for some reason not in the correct section. That is how I would read the unit markings too. 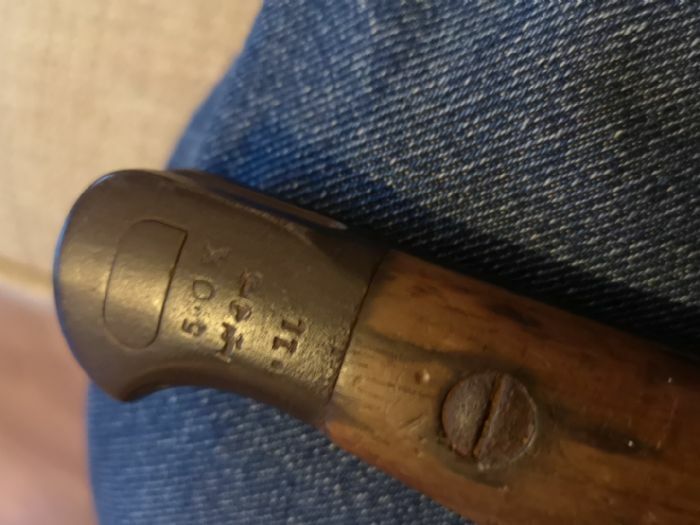 Issue date of 1911? Cant be 1911 issue date. 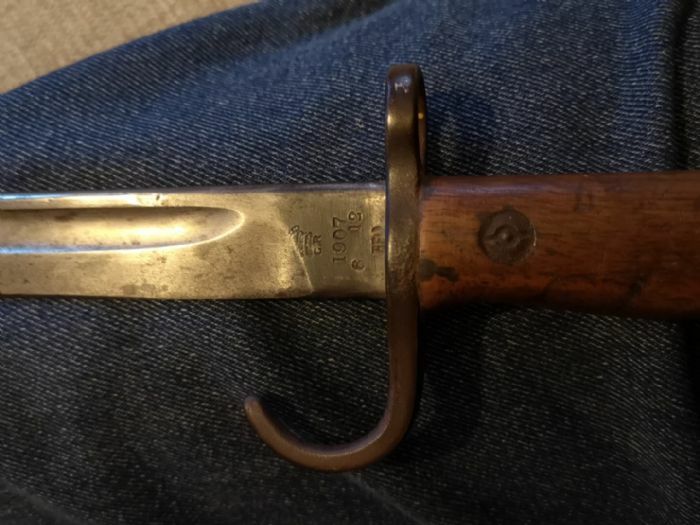 The bayonet is manufacture dated June 1912! Very nice to see still with its hooked quillion. This one must have been hiding. i read the markings the same as well , but seems something is cancelled as well ? or am i seeing things ? Could that be the matching rifles number?? Then possibly crossed out and a new one added? ?